The case will be heard per se on 4 April. 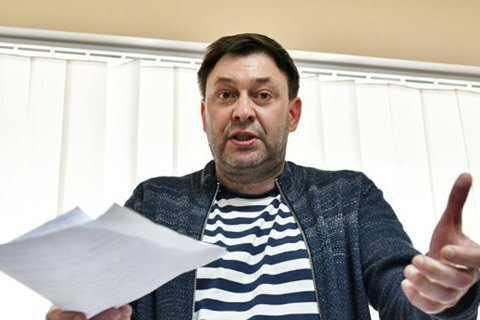 Kyiv's Podilskyy district court has upheld prosecutors' request to extend the custody of the head of the Ukrainian office of the Russian news agency RIA Novosti, Kyrylo Vyshynskyy (Kirill Vyshinskiy), until 24 May, Interfax-Ukraine has reported. The defence filed a motion to recuse the judges over their alleged bias. On 15 May 2018, the Security Service of Ukraine (SBU) and the Ukrainian Crimean prosecutor's office exposed a media network controlled by Russia. RIA Novosti-Ukraine head Kyrylo Vyshynskyy was detained. Russian state awards and a Russian passport were found during the search of his house. A criminal case on high treason was opened against him.